The online MBA program at Hodges can be completed entirely online, and offers accelerated classes for those in a hurry to finish a degree. A unique feature of the Hodges MBA is an emphasis on building one’s personal brand while earning the degree. This can be invaluable in continuing to build a career after finishing the program. Dr. Aysegul Timur is the Professor and Chair of Business Administration and Public Administration Programs in the Johnson School of Business at Hodges University. Dr. Timur gave us some insight and further detail as to what makes this degree unique. Tell me about the typical student in the Hodges online MBA program. A typical Hodges Online MBA student has a goal to advance his or her career by earning the MBA degree while maintaining a busy life style. The majority of our students are non-traditional adult learners who live off-campus, they are usually around 32 years of age, and either work full-time or part-time, or have already had some work experience. Regardless of their age, most of our students have different levels of accountability, such as work, family, and other social responsibilities. Hodges' MBA students know that they will learn from professors with experience in the program that is consistently aligned with current business expectations. Do your students live near the physical campus or are they more remote? Both. We have students who live near the campus and those at a greater distance. We have excellent student services, which assist all students. How much time, if any, is required on the physical campus? If you registered for an online MBA Program, there is no time required on the physical campus. Students can complete everything online from the admissions process to registering for courses, and all of the required courses, including the comprehensive exam, can be taken online in order to graduate. Is there flexibility in the completion of coursework and/or the degree requirements? Yes, there is. Our scheduling is very flexible to fit to our students’ busy lives. Our accelerated courses offer students the greatest amount of flexibility. These accelerated courses are 7.5 weeks long as opposed to the 15 week traditional online courses. How accessible are faculty for online MBA students? Faculty who teach online are very experienced in helping online MBA students. They connect with their students through a wide variety of communication mediums, including instant messaging through the HU Learning Management System (Blackboard), connecting with their students using other available online tools, as well as conversing with their students through traditional means such as email messages and phone calls. While faculty members do have established office hours, faculty members assist students when needed (which are often during evenings and weekends). Is there a preferred area of emphasis for most students? Or an area that the program is known for? Yes. Building Brand [YOU]. The Hodges Difference. Hodges University is proud to partner with author and public relations expert, Cyndee Woolley, APR, to incorporate seven essential steps to building a powerful personal brand into the Master’s Degree program. With this comprehensive program, Hodges' MBA students will have an edge over their peers. They will be equipped for the ever-changing career landscape because they have both the technical expertise to generate results and a compelling personal brand to navigate through a career of their choice. Our curriculum integrates lectures or meetings with public relations expert and author, Cyndee Woolley, to help students gain a competitive edge by building personal brand throughout the MBA program. For more information, please visit www.hodges.edu . There is also an increasing trend that our MBA students choose a finance concentration. This concentration is taught by experienced and credentialed faculty in the field of finance. Do you offer careers services and networking opportunities to students as they pursue their online MBA? Yes. We offer several career service opportunities and networking opportunities to students as they pursue their online MBA. • As I mentioned above, we are using Brand You as a means of getting students to start preparing their career strategies from day one in the program. This is the Hodges Difference. 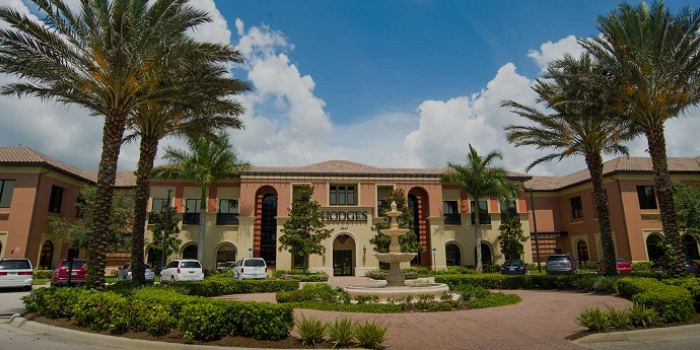 • Hodges University also has the Office of Career Development for all students. The Office of Career Development provides career counseling to assist students in landing the job of their dreams! From drafting their resume to interview tips and job search tools, the career services coordinator is available to guide online students. • The Johnson School of Business Club is another opportunity for career services and networking for the MBA students. The mission of the Johnson School of Business Club is to assist current students and alumni in integrating their learning with the real business world. This is accomplished through the provision of networking opportunities with other students and business professionals, mentoring, a speaker series, and other activities that support students and graduates in attainment of their professional career goals. The Business Club promotes diversity and believes that diversity is an important part of the health of an organization. What kind of post-graduate support do alumni of the program receive? HU has an active alumni organization, which all students are welcomed to join. The Alumni Association network is a social place that encourages continued connection with friends from Hodges University, professors, and the institution. The HU Alumni Association is aimed at keeping its alumni informed of activities, professional development opportunities, and networking connections to fulfill their educational experience. Any words of advice for those considering an online MBA degree? Start thinking early about what the work world will expect of you. One of the demanding challenges today is the complexity of the problems and issues businesses face. Developing the capacity to analyze, evaluate, and act to solve complex issues and problems in a global environment is critical to every MBA student’s success in the workplace. The other major contributor to workplaces is sustainability—MBA students need to know what it is, why it is important, and how to use the concepts in solving problems and decision making. Students should also take the opportunity to brand themselves while they pursue an MBA degree. They have to be aware of how they are setting themselves up for career advancement or taking executive positions before they graduate. Online MBA degrees provide students with the opportunity to brand and set themselves up for success, especially Hodges University’s MBA program. Hodges University’s MBA program provides students with all of this and more.